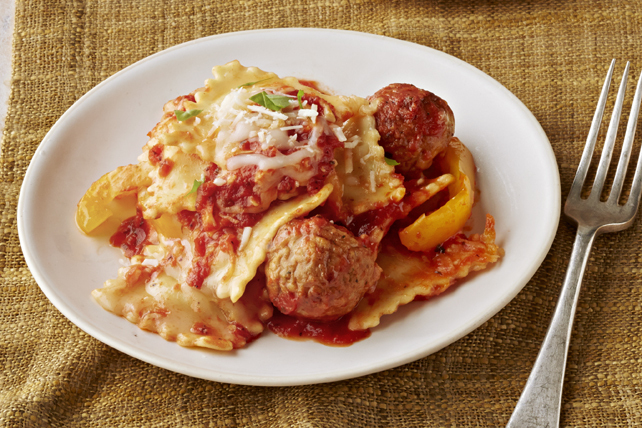 Pull out the slow cooker and whip up our Ravioli & Meatball Slow-Cooker Casserole - this pasta casserole is ready when you are! Pour 1 cup pasta sauce into slow cooker sprayed with cooking spray; top with layers of half each of the ravioli, meatballs, peppers, mozzarella and remaining sauce. Repeat layers. Cover with lid. Prepare using green and/or red peppers.